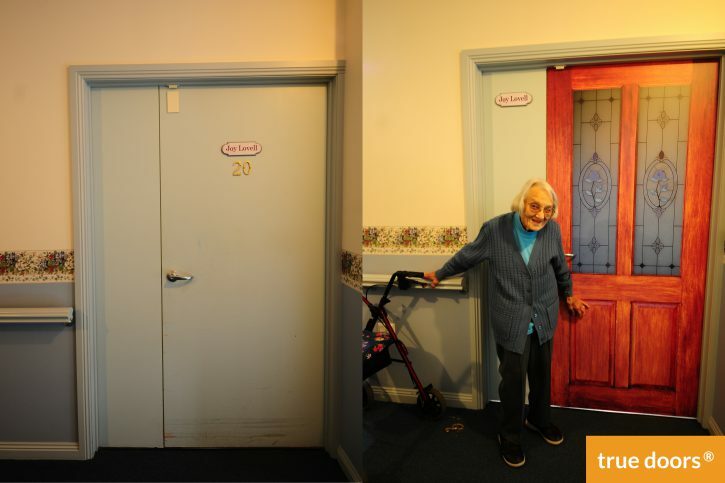 Karen loved our person centred approach, as she wanted to give elders choice while also brightening up the hallways and, True Doors fit the bill perfectly. 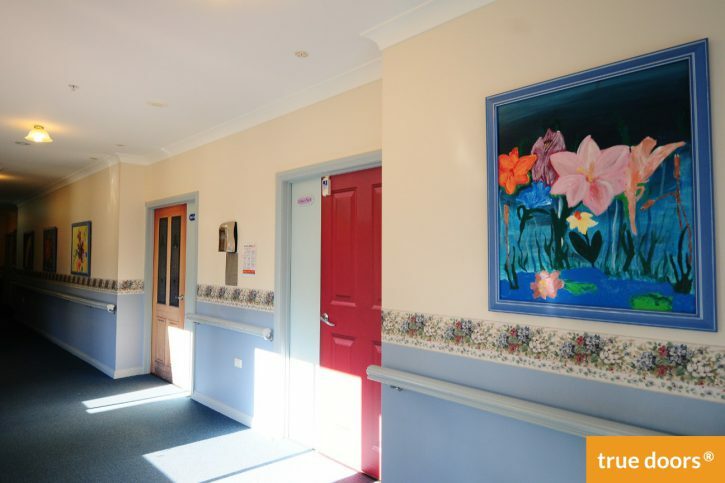 Cypress View Lodge is a small independent, community founded organisation, which is home to 19 people, including a few residents with dementia. Care needs range from minimal to more intensive. 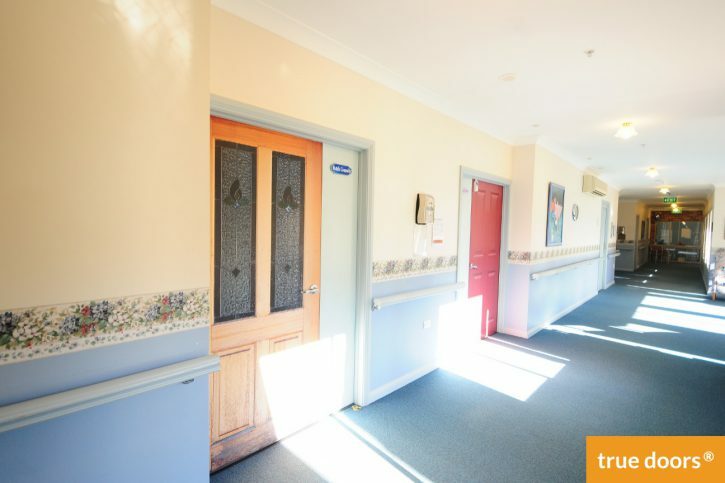 All the residents of Cypress View Lodge are able to move freely, including to the local high street just over the hill. A great advantage of living in a village community of 700 people. A bequest had been left to Cypress View Lodge by one of the residents, Edna Horrigan and it was felt Edna would have enjoyed True Doors also. A little concerned that picking doors from the 500 plus collection would be impractical, Karen made a pre-selection of the Australian doors. What followed was more valuable than expected. 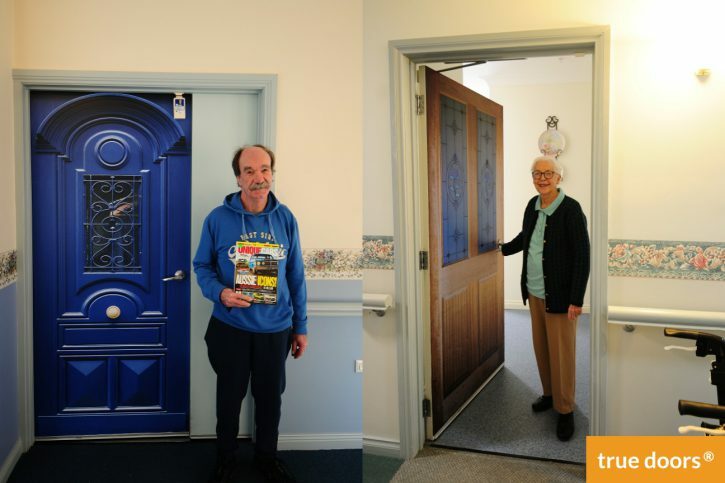 First the process of selecting doors where people talked about which doors they wanted and why led to fun stories and conversations. People chose doors that looked like ones from the past or that they simply found beautiful. 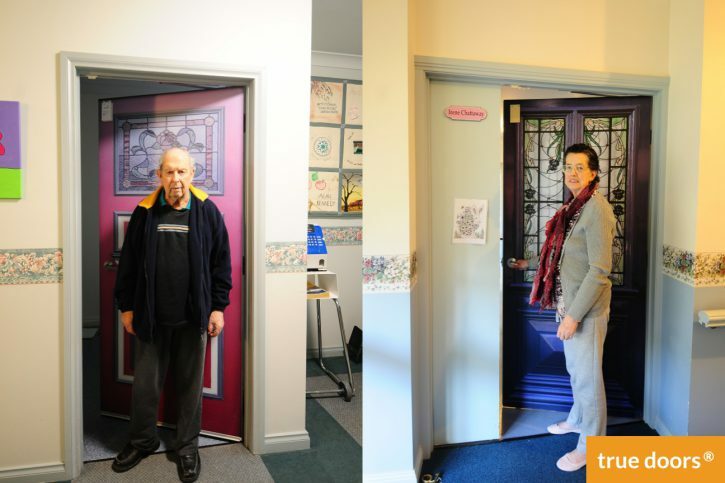 And then also the day when Carolyne Taplin (True Doors Australia Representative) and husband, John, applied the decals turned out to be another unexpected chance for fun and chatter while the hallways were being transformed. The result has been positive all round. The aesthetics of the hallways has improved a lot. 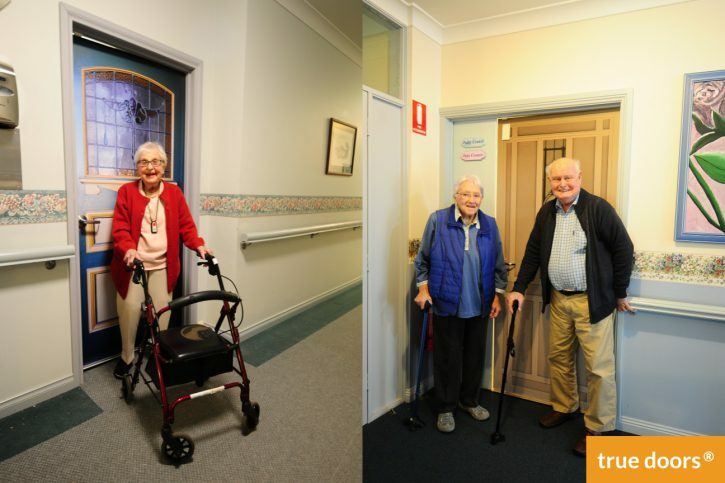 Residents have more ownership over their rooms and new visitors enjoy the warm friendly space. I’d recommend True Doors.